The abacus is an ancient calculation device that has been used to perform mathematical calculations for centuries. 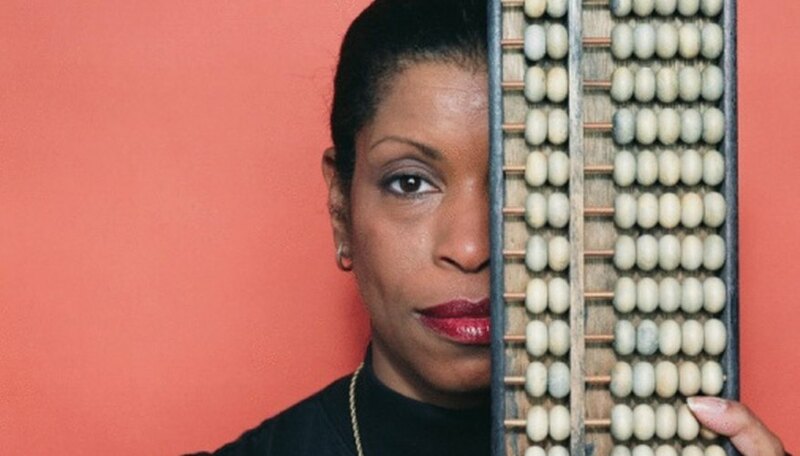 The abacus comes in two forms, the first featuring one bead per column in the top row and four beads per column in the bottom, while the second features two beads per column on top and five beads per column on bottom. The extra beads are used for performing hexadecimal calculations, for systems such as weight which use base 16. But even the larger abacus can be used for basic decimal calculations as well. Slide all beads to the outer edge of their columns, so no beads are touching the center bar. Use each column of the abacus to represent one digit in the number being calculated, so the right-most column in a zero decimal number is the ones column, the next column to the left is the tens column, and so on. Slide one bead up from the bottom column to the median bar for the current digit to mark one, two beads to mark two, and so on up to four. Slide all four beads in the lower section down, and move a bead from the top of the same column to the median to represent five. Slide beads from the bottom up, while keeping the five at the median, to represent six through nine. Slide all beads in a row away from the median, then slide one bead in the row to its left to the median to carry over a number. 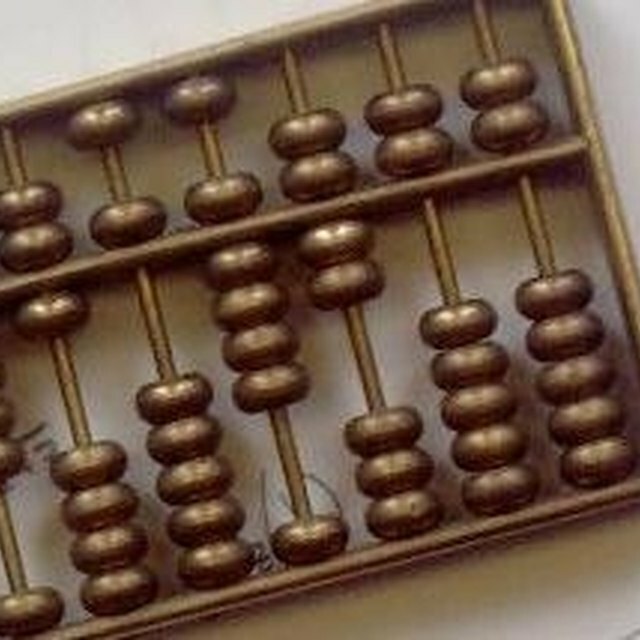 Slide the beads of the abacus to represent the first number in the calculation. Slide one additional bead to the median in the right-most column for the value of the number being added, or slide one bead away for the number being subtracted. For example, if the ones digit of the first number is six, and the ones digit of the second number is two, you would add two by sliding two beads up in the lower right column, leaving you with the five bead and three ones. To subtract two, slide the bottom bead down, then slide the top bead away from the median and the four bottom beads back to the median to yield four. Perform any carryover required by the calculation. For example, if adding three to seven for a digit, you would slide two beads up, find that you are out of beads to slide, then push all beads in the current row away from the median, while adding a single bead to the column to its left. Perform reverse carryover, or borrowing, for subtraction if the number being subtracted in the current digit is larger than the value of the digit in the first number. For example to subtract seven from zero in a column, move one bead in the column to the left away from the median, then all the beads in the current column to the median, then complete by subtracting the remaining six beads as normal. Repeat for each column until you reach the left-most column. To perform decimal calculations on a hexadecimal abacus, simply ignore the top bead from the top row and bottom bead in the bottom row for each column. Preston, Robert. "How to Calculate Using an Abacus." Sciencing, https://sciencing.com/calculate-using-abacus-8273299.html. 24 April 2017.